While newly-pregnant women often wonder how their bodies are going to make room for the growing fetus, the fact remains that the female body is quite equipped to accommodate all the changes that take place during the 40 weeks of pregnancy. 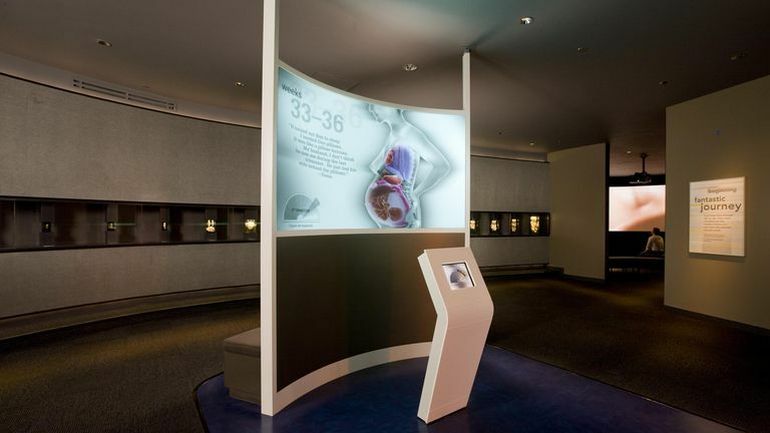 For folks who need convincing, the team behind the ongoing exhibit at Chicago-based Museum of Science + Industry has created an amazing animation that showcases the “impact of a pregnancy on a mother’s body as she adjusts physically and mentally to the changes inside her”. Part of the ongoing Make Room for Baby exhibit, the clip documents the wonderful nine month-long journey of pregnancy. As scientists will tell you, the pregnancy bump isn’t the only way the mother’s body tries to hold the fast-developing fetus in place. 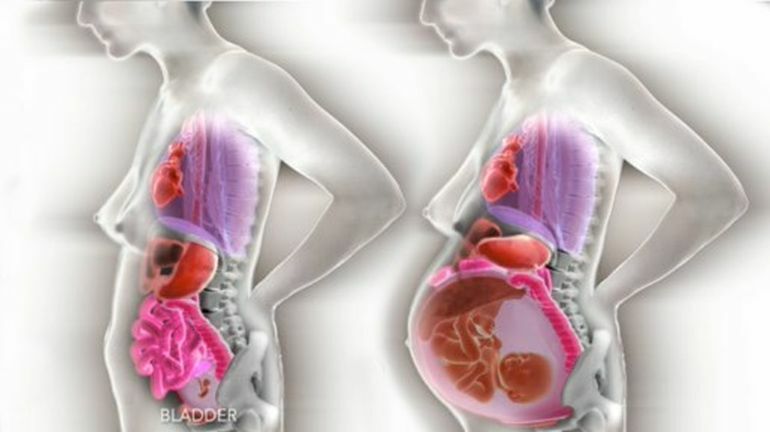 Her internal organs also shift significantly at designated moments in the pregnancy to create more room for the baby. 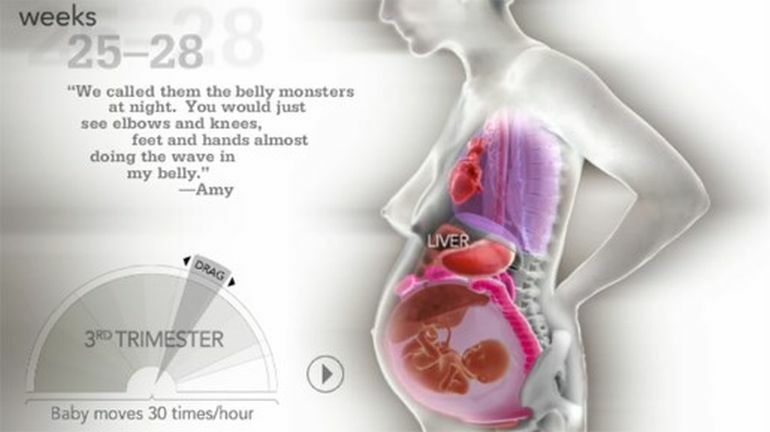 In addition to a fascinating video of the process, the developers have come up with an interactive slider that allows you to witness the changes taking place inside the mother’s body at specific spans of time, such as between weeks 25 and 28 of the third trimester. To know more about the Make Room for Baby exhibit, head over to the Museum of Science + Industry’s official website.